Our brand new website is now ready, come check it out! 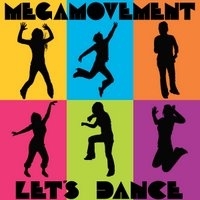 You'll reach Me and You's website, click the MegaMovement link at top of page. See you there! Our new website brings all three artists in the same stable together for the first time ie Me and You, AshbaCrew and of course MegaMovement. Hear music from all three as soon as you visit. It's much easier to listen to and buy music, there's much more content on many more pages including a full FAQ, dating and adult contacts and more! If you prefer to keep using and buying from this the original website, please feel free as it will remain. However when new content such as new music, new pages and new information becomes available only the new website will be updated. Me and You - This exciting and innovative band's repertoire spreads from roots and reggae love songs, dancehall, dub, ska and soca to slow jams, r&b, hip-hop, and soul. Check them out now! AshbaCrew - theirs is a catchy singalong blend of house, garage and dub that you'll want in your iPod as soon as you hear it. Have a listen to them now! Hey, welcome to MegaMovement.com! Several excellent albums are due for release over the coming months. Watch this space! Here are the first two! This Jamaican band intends to rejuvenate the tradition of the reggae instrumental in a way that is unique, modern and fresh. Their audience includes people who like a wide variety of genres including pop and easy listening and who don't normally listen to reggae. If you like popular songs, solid dancehall riddims with melodious toppings and quality dub/instrumental you’ll find it right here on both albums! This one kicks off with a spirited rendition of Mona Lisa - but this is Mona Lisa as you’ve never heard it before! If you didn’t like Nat King Cole’s classic version because it was too soft, you’ll probably love this one! The riddim is incredible and storms in like a train passing through the station and leaving with a solid piece of dub at the end as it trundles off into the distance! 10 out of 10 for inventiveness which is true for all tracks on both albums. A crisp and sprightly dancehall cut to Chris Montez’s ever popular Let’s Dance follows. Next is a thunderous rendition of Dandy Livingstone’s Move You Mule with a false start that’ll blow you away! Then an in-your-face cut of Downtown by Petula Clark. A rugged ragga riddim version of The Stylistics You are Everything is next and after that a mellow xylophone version to Junior Byles’ Heart and Soul. A haunting That Sunday That Summer popularised by Nat King Cole and his daughter Natalie Cole is followed by a trumpet led Oh Not My Baby made famous by Maxine Brown, Rod Stewart, Manfred Mann amongst many others. Bringing up the rear is a rendition of Keith Hudson’s Bloody Eyes which has a clavinet playing the melody and Watching You a happy flute cut to a Me and You song on the Envious riddim which is yet to be released. All songs have short dubs at the end – a nice idea for a excellent album! Listen to it for yourself and see if you agree! This wicked album follows on in the same style and fashion as the Let’s Dance above. Popular songs, solid dancehall riddims and melodious toppings with a short piece of dub at the end of each track. The album gets underway with uptempo ska version of The Four Tops Left With A Broken Heart. Two cuts of Coxsone Studio One classic riddims one of which is Pretty Looks popularized by The Heptones – the song on that is Too Much In Love. The song on the other is Save The World. Next is a happy-go-lucky vibes cut to I’m In Love Hortense Ellis, Alton Ellis’s sister, this is followed by a laid-back version to (Walking Down A) One Way Street by Willie Tee. Me No Wah is a happy stepper that you can sing along to. 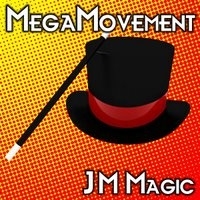 JM Magic is an excellent cut to Jackie Mittoo’s Reggae Magic here retitled JM Magic. After that a well-liked version to Keith Poppin’s Envious is followed by a deep bass cut of Think Nothing by Gene Chandler. Then finally the enigmatic and sultry Love High which utilizes a riddim not dissimilar to Desmond Dekker’s timeless classic 007. All in all another top-notch album! Listen to it for yourself and see if you agree! Soulful reggae and more from Me and You! 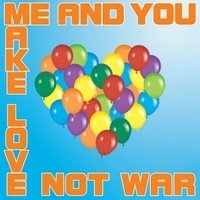 To listen and buy great music like this and unlike this by Me and You click here! Great fusion of garage, house, roots and dub from AshbaCrew! 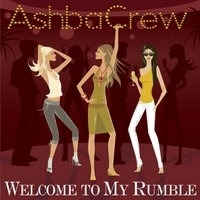 To listen and buy AshbaCrew's hot stuff click here! Looking for love or adult contacts? Try Frennz for dating sites and adult contacts sites. There are also sites for those looking for people of color. With 1.5m profiles you're bound to find that special person quickly and easily. Find out more by clicking Frennz above. Buy clothes, gifts, ringtones, music, promote your website and more! Check out our partners websites now for thousands of products!